Launching at $350 (from Google), the Sport stands out from previous Wear smartwatches with a list of radios that resembles that of a smartphone. The standards are there: Bluetooth and Wi-Fi. It also has GPS and LTE so you can track your location and get calls without carrying your phone. It even includes NFC and is the first watch to support Android Pay. 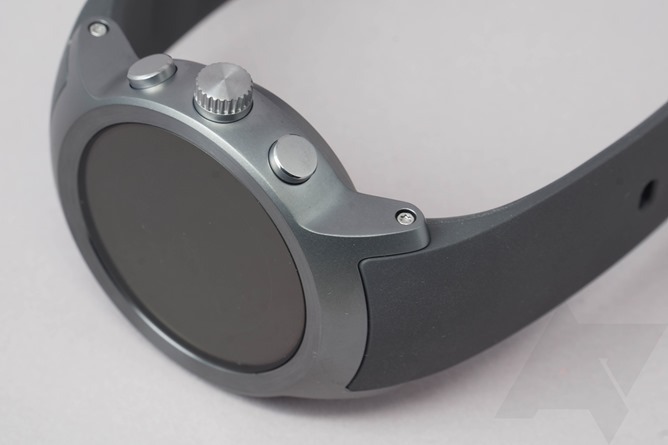 Combine all of this with a very sharp screen, some new hardware features, and the (mostly) standard list of sensors found in other smartwatches and it's pretty clear that this is the new flagship for Android Wear. It's purpose-built for fitness nerds. As I had said in my first impressions, the LG Watch Sport underwent a series of intentional tradeoffs to deserve the "Sport" moniker. After spending a week with it, I've come to think that may have been an understatement. To put it bluntly, this isn't just designed to fit a single use case, it's the epitome of what happens when a product team decides to remake the concept of a sports watch with the innards of a smartwatch. It's purpose-built for fitness nerds. That bulky design of the watch, which many people have rushed to criticize... Yeah, I'm pretty sure that's intentional. The same goes for the slightly larger than average buttons and digital crown. If you're asking why these decisions were made, step outside for a moment and try jogging while you fiddle with a small watch on your wrist. The frame and buttons were made to be large so they would be easier to find and grip while you're active. In the context of a true sports watch, the decisions make sense. Unfortunately, the end result is bound to alienate a lot of the people that might have wanted this watch. It's the most feature-rich Wear device to date, and the first to support Android Pay, so of course many people want it. However, they wanted something smaller, prettier, sleeker. Technology is still not quite caught up, and packing so many features into a watch was bound to lead to some compromises. Instead of releasing a product doomed to underwhelm everybody, LG embraced the unavoidable size and targeted a group that might actually like it. Display Hands down the best display on any Android Wear device, and possibly better than any smartwatch on the market. Performance Animations are smooth and apps run extremely fast. Design Compared to other sports watches, it looks pretty good. Light sensor Hidden beneath the display, it can detect ambient light and doesn't necessitate a flat tire. Hardware controls The shortcut buttons and a digital crown are great to use. Features This thing has almost every sensor and radio you could ask for. Design (again) Compared to regular watches, and even smartwatches, this one is completely lacking in character. Size Thickness is a big hurdle and rules out a lot of potential customers. Battery life Even with the most conservative settings, you can't expect more than about 48 hours. And it's more like 24 with an always-on screen. Watch Straps The TPU straps can't be removed. Design is one of the compromises inherent in sports watches. In a category littered with large blocks of clunky black and neon plastic, LG's design is comparatively gorgeous. But in the wider world of watches, particularly when many of them are treated primarily as jewelry, the Sport is simply not a fashionable watch. No risks were taken with the aesthetics. It's not ugly, nor is it beautiful – it's just there. Given the size, which is considerably larger than any of its predecessors, that's probably a smart decision because it allows the watch to go unnoticed. 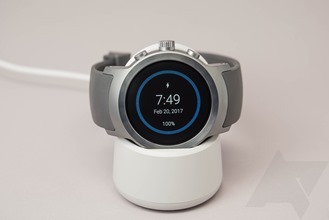 Profile shots – Left to Right: Asus ZenWatch 2, Huawei Watch, LG Watch Sport. It's worth mentioning that the thick body of the watch is actually an advantage for the digital crown. Since the watch is raised from your wrist, there's a little more space to twist the crown without squeezing between it and your skin. The face of the stainless steel frame tapers up from the display by about a millimeter to protect the glass from abrasions, but you can't really tell at a distance. 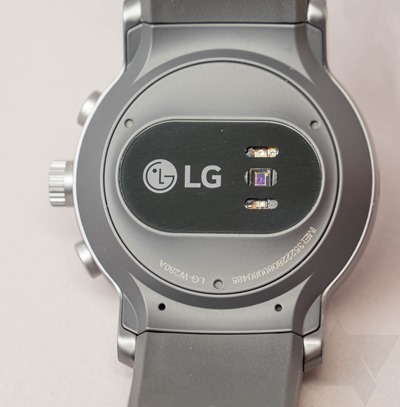 Edges and corners have nicely defined lines and the surfaces are basically flat, unlike some of LG's earlier watches which looked rounded and bulbous. The buttons and crown match the watch frame and kinda blend into the look. 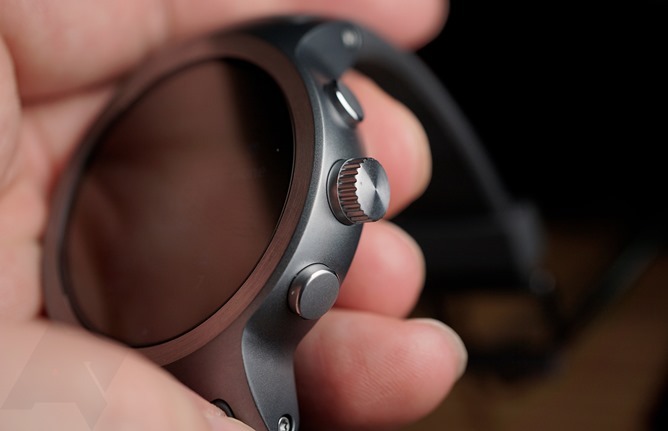 An ambient light sensor is hidden beneath the screen, which means the watch is blissfully lacking the infamous flat tire that typically holds a sensor bundle. The Asus ZenWatch 3 was the first to use this technique, and we all agree that it's basically a requirement for all smartwatches from this point on. Correction: It was the Nixon Mission that did this first, not the ZenWatch 3. – Thanks, ObligatoryEscapments. Positive points also go to the crown and buttons. The crown rotates smoothly and it's perfectly responsive. Button travel distance is pretty much perfect. If you want to get extremely nitpicky, I'd say the action of the button press can feel a little clunky. It's still better than the volume buttons on plenty of flagship phones I've owned, so I hate to even mention it. Soft TPU bands protrude from the top and bottom of the frame at a very tight curve until they are perpendicular. The first few centimeters of each band are rigid because they contain the antenna array for the aforementioned radios. Unfortunately, this makes the bands a permanent fixture of the watch. They can't be removed or replaced, so you're stuck with this TPU band. The feel of the TPU is pretty good. Well, it's good for TPU, at least. I prefer metal or leather for both looks and comfort, but again, this is a sports watch and it's intended to survive sweat and water. This TPU is very soft and it doesn't aggressively stick to your skin, which is certainly better than most rubber and silicone straps on sports watches. Nevertheless, it's still a material that doesn't breathe or slide unless it's fastened pretty loosely. I managed to go multiple days with it on, and almost forgot I was wearing it from time to time, but it was a relief to remove it after each long session. I feel like some people might want to experiment with a little DIY hack that came to mind. It would be pretty easy to use some mild adhesive to add thin strips of fabric to the inside of the straps. I haven't tried this yet, but I think it would improve breathability and comfort. This watch has a few problem areas, for sure, but the screen is not one of them. Pixel density, color reproduction, brightness, they're all pretty great. 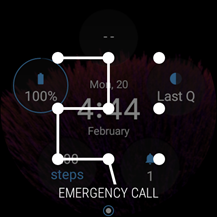 At 348ppi, analog-style watch faces look realistic at a viewing distance of about 12 inches. It's still possible to pick out edges on 1px thin lines, but it's something you can only see up close. Anybody sitting across a table will have to see the screen change to be sure they're looking at a smartwatch. Unfortunately, the extra pixels come with a cost to battery life, but we'll get to that in a bit. 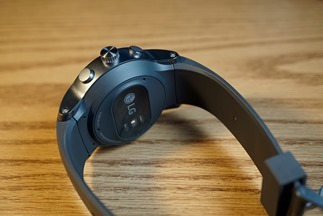 Both of LG's new watches charge wirelessly, but the Sport's charging cradle holds the watch upright for easy viewing. It basically has to be designed this way because the straps don't allow the watch to sit steadily in any other position. 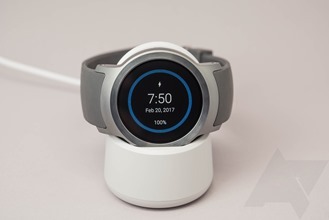 The watch can be placed into the cradle either with the crown and buttons pointed upward where they are accessible, or they can be pointed downward where they are hidden perfectly within a crevice in the charging base. 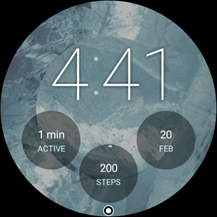 Android Wear rotates the screen so it's right-side up, which is a nice touch. Oh, and the port for the power cord is USB-C, so you can swap cables with your phone if one breaks. There can be no doubt battery life deserves a section of its own. I'll cut to the chase: It's not as good as it should be. I did three rundowns, one with everything enabled, one with cellular disabled, and one with both cellular and always-on screen disabled. In each test, my usage was on the light-to-moderate side with regular notifications, a few voice commands, a couple of alarms, and a few brief apps. The results show that a little common sense and manual management of the watch can keep it from going dead before it has to. For this run, I turned off the LTE radio and left the ambient display turned on. Based on countless comments, I have come to expect that this is how most people would actually use most smartwatches. It was taken off the charger at 5:30 AM and it hit the 15% mark to activate power saver mode just after 2 AM. 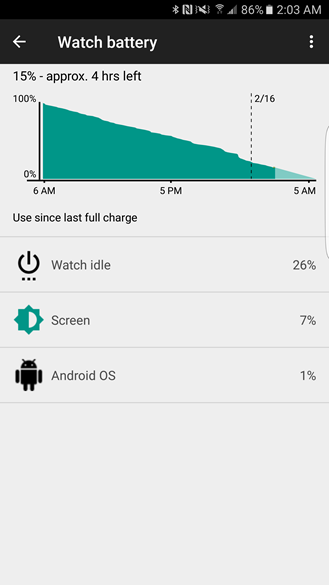 It was on course to hit exactly 24 hours, and did after I manually switched off battery saver. Left: test #2. Right: test #3. For this test, I also switched off the always-on display. I actually prefer it this way because I find the glow of the screen to be distracting when I go out with friends on some nights or when I'm at home and leave most of the lights off. 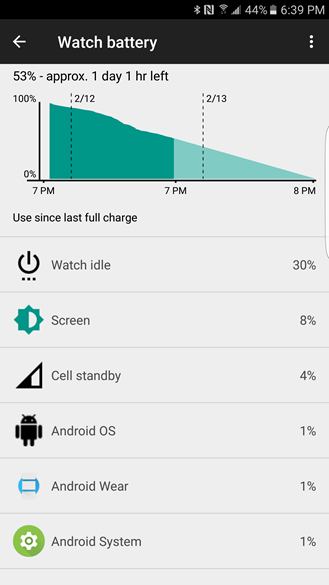 The watch came off the charger at 6:30 PM for this test and 12 hours later it was still at 84%. At 24 hours, it was still at 53%, and it still had 26% remaining at 35 hours. I was asleep when it finally died, but it's clear that it came in very close to 48 hours. The results are pretty telling: The screen is destroying battery life. This isn't surprising since most smartwatches see a pretty stark drop in battery life with the screen on, and that's no different than any phone. If you're like me and don't want the screen to be on constantly, this is even more incentive to let it rest when you're not actually looking at it. I know there are plenty of people that will insist on keeping the screen on at all times. For anybody that does, it should be obvious that at least the LTE radio should be disabled any time it's not necessary. After all, LTE is mostly redundant if you're already taking calls on your phone and the watch can get its data from Bluetooth or Wi-Fi. This is another good time to bring up the angle that this is a sports watch. Do you plan to wear it all day? It's not particularly uncomfortable or ugly, but if you're thinking about buying it mostly for tracking runs and trips to the gym, and it will go back on the charger when you're done, then this battery life is more than enough. Google released developer previews of Android Wear 2.0 for the Huawei Watch and LG Watch Urbane 2nd Edition, giving a pretty big sneak peek of the new platform. If you didn't own one of those models, or maybe you did but weren't adventurous enough to unlock a watch bootloader and flash system images–yeah, I get how nerdy that sounds–you may have only seen the evolution of v2.0 through news coverage, or maybe you're only now checking out Wear for the first time since the early days. To put it simply, things have changed a lot. There are too many details to cover in this review without sidetracking too far from the watch itself, but there are two aspects that warrant discussion here: Android Pay, which is finally supported on Wear, and how watch faces have changed on v2.0. 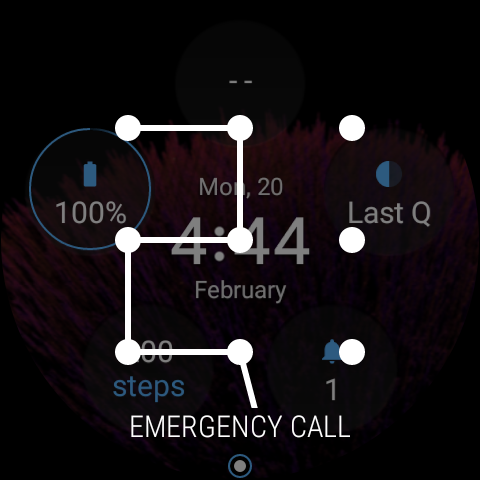 The new version of Wear places more emphasis on watch faces. 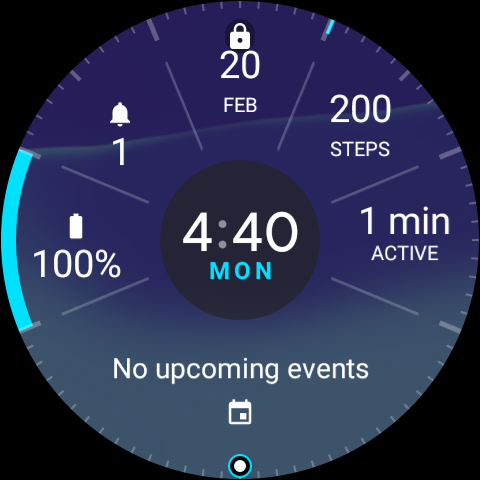 A newly developed Complications API allows watch faces to display small windows of data from other apps, much like home screen widgets on phones and tablets. This makes it possible to customize the screen to show as much or as little information as you want. 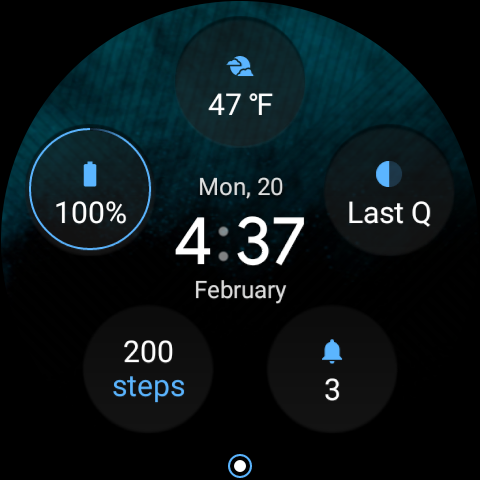 For example, the face could be configured to show the current date, a step counter, and what time the sun sets. 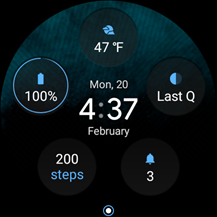 Users can take this a step further and set up multiple watch faces and swipe to the left or right to switch between them. 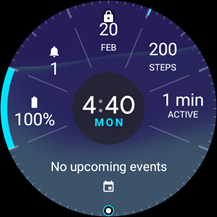 Perhaps in your daily use, the watch face should show a step counter, the time of your next appointment, and other utility functions. When you go to the gym, you might switch to a face that shows a stopwatch, a counter for calories burned today, and your current workout. Then for going out a social event, pick a watch face that simply looks great and leave the complications behind. (Sorry, I had to.) The point is, you can switch back and forth between them and they'll never lose their settings. Since the announcement of Android Wear, I've been expecting the watch to become a part of Google's strategy for tap-and-pay. Android Pay, formerly Google Wallet, was often dismissed because customers still had to reach into their pockets, it didn't matter whether it was for a wallet or a phone. Placing that functionality into a watch was the natural answer because it eliminates the need to reach for anything that isn't already out in the open. 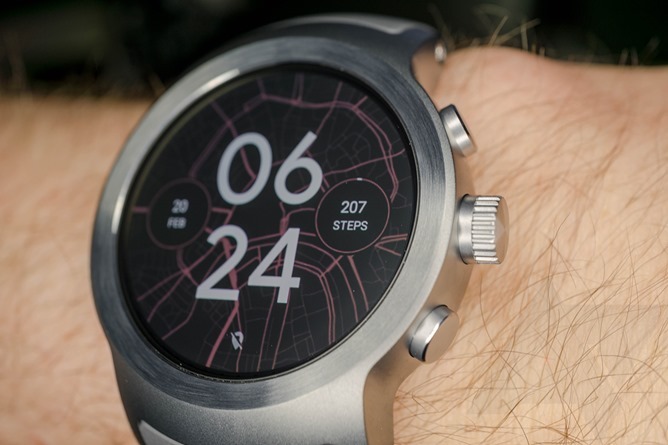 The LG Watch Sport is the first Android Wear device to support Android Pay. 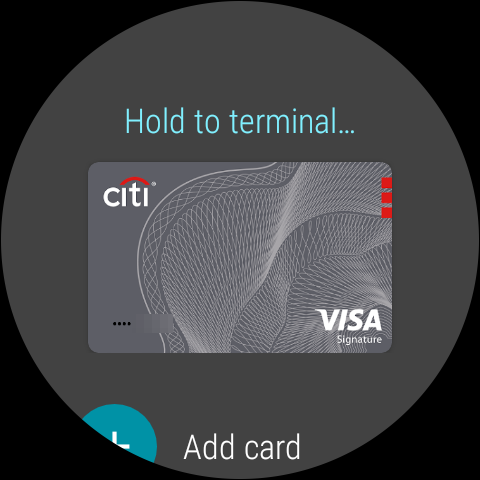 Setting up the app and adding cards is done on a phone, but once those steps are complete, the watch can operate entirely standalone for making purchases. For the sake of security, a lockscreen is required, and it can be of any standard type: PIN, Pattern, or Password. The watch eliminates the two most likely reasons you might be stuck awkwardly holding up a line during checkout. 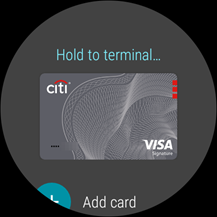 To make a purchase, all you have to do is launch the Android Pay app, optionally pick a card other than the one that's selected to be the default, and hold the watch over the payment terminal. If the lockscreen hasn't been bypassed recently or if the watch has been removed (a proximity sensor is used to detect removals), it has to be unlocked before holding it to the terminal. Using the watch for purchases is actually a bit nicer than using a phone for a couple of semi-obvious logistical reasons. First, you'll never have to guess about the location of the NFC transmitter because there's not enough surface area for it to be a mystery. Second, you'll never have the awkward situation where Android Pay is triggered by a payment terminal and THEN it wants you to authenticate, forcing you to unlock and then scan it again. 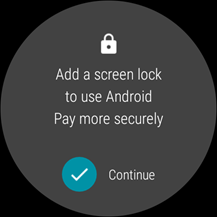 Since Android Pay makes you take care of the unlock step first (if it needs to be done) and uses sensors to assert that the owner is still wearing the watch, it can effectively trust that no other checks are required. Go figure, using the watch eliminates the two most likely reasons you might be stuck awkwardly holding up a line during checkout. Performance can be attributed as much to hardware as it is software. 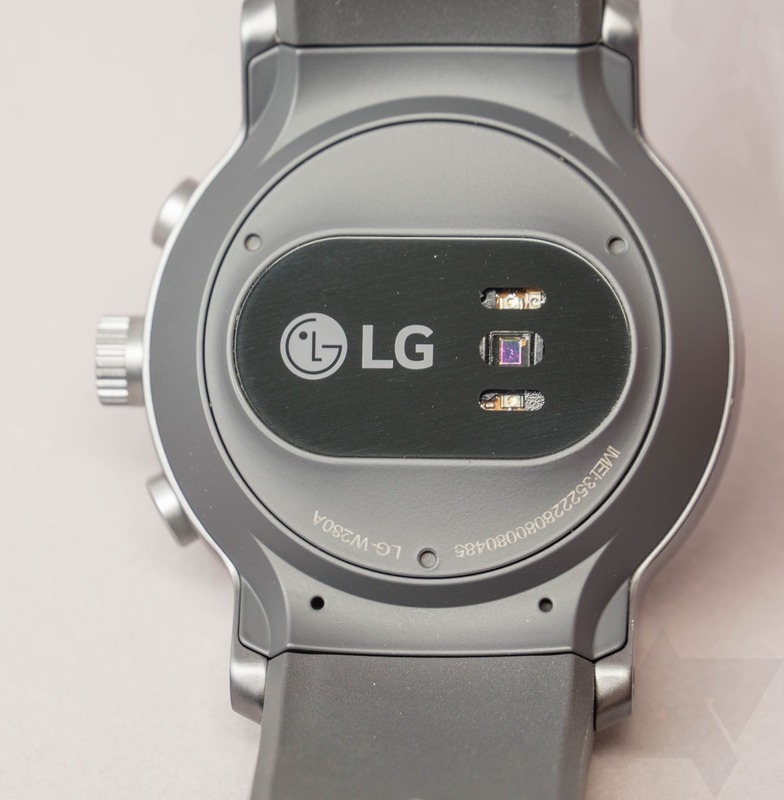 For that reason, I'm not sure how Android Wear 2.0 will ultimately perform on older watches, but with regards to the LG Watch Sport, things are looking really good. Animations are incredibly smooth and it's very rare to see any jitters. I would estimate that most transitions occur at about 45fps, whereas most of the older Wear watches seemed to have trouble hitting 30fps. There's no denying smooth motion is purely cosmetic, but as we saw when Google launched multiple projects to fix framerate issues on phones, it has a discernable impact on how much we enjoy using our devices. The story is pretty similar for most apps. Launch times are usually around one second with a few exceptions for heavier apps like Google Maps. The biggest delays aren't coming from running the apps, but from waiting for them to pull data, especially over Bluetooth. Touch scrolling is comparable to any current phone, which is to say that there's a barely perceptible input lag that's only obvious if you're looking for it, and this is usually related to the touch digitizer, not some performance bottleneck. The only reason you can even identify any input lag with touch is because it completely vanishes when the digital crown is used to scroll through lists. I mean it, there's zero discernable lag. None. It's weirdly awesome. And on that subject, let's talk about the crown. Android Wear v2.0 introduces support for a digital crown and I think that may turn out to be very influential to future watches. In case anybody doesn't know, the crown can be used to iterate through notifications and scroll through any vertical list or page. If nothing else, this is a nicer way to scroll because it gets your finger out of the way of the screen. The crown also performs inertial scrolling on some screens like the app launcher. This doesn't make a big difference, but it's fun and weirdly satisfying. The crown will also be really handy in cold weather when you would rather be wearing gloves. Unfortunately, this exposes one of the weak points about its current implementation. The press action of the crown is mapped to return to the watch face – it's basically the Home button. However, most of us will instinctively scroll with the crown and then want to press it to activate whatever action we're looking at, which leaves whatever you're looking at. In fact, there's no button than can activate things in a list, so if you want to use the watch with gloves, you're not going to be able to do much more than scroll through notifications. The two buttons flanking the crown can be configured to launch any app you choose, but only when you're looking at a watch face. Out of the box, the top button points to Google Fit, and the bottom button goes to Android Pay. It took absolutely no effort to get used to using the button to launch Pay, so I think I'm a fan of the buttons. I just have to figure out what I want to replace Google Fit with. Developer support will possibly make the crown and buttons really interesting. Apps can be programmed to listen for the scrolling and button press events and use them to perform custom actions. Many of Google's apps already take advantage of this capability, like Play Music and the Phone app that use the buttons to control volume and Google Maps that zooms in and out of the map as the crown rotates. I expect there will be some problems with discoverability for these functions, but I love the potential they have for providing shortcuts to actions that otherwise might require a lot of swipes and taps. It's hard not to notice comments and criticisms about any watch equipped with cellular radios and the ability to take calls. Naturally, I don't expect most people are going to use the calling feature of the watch very often, but it's there for a reason. If you're going to be in a situation where it's inconvenient or uncomfortable to carry a phone, perhaps in the gym or out for a run, the watch can be with you and provides a way to be available for calls if you need to be reachable. Also, I'm dying to see the first movie where somebody is kidnapped and their phone is taken away, but nobody thinks to remove the watch. Side view of the speaker. I ended up taking a call that lasted roughly ten minutes, and I have to admit that it really was pretty good. I still prefer a phone for calls, but after that first experience, I would actually consider taking a call on the watch before I would rush across a room to pick up a ringing phone. Sound quality from the speaker was clear and had plenty of volume, and the person I spoke with confirmed that I was coming through perfectly. He didn't even realize he was on a speakerphone until I brought it up. 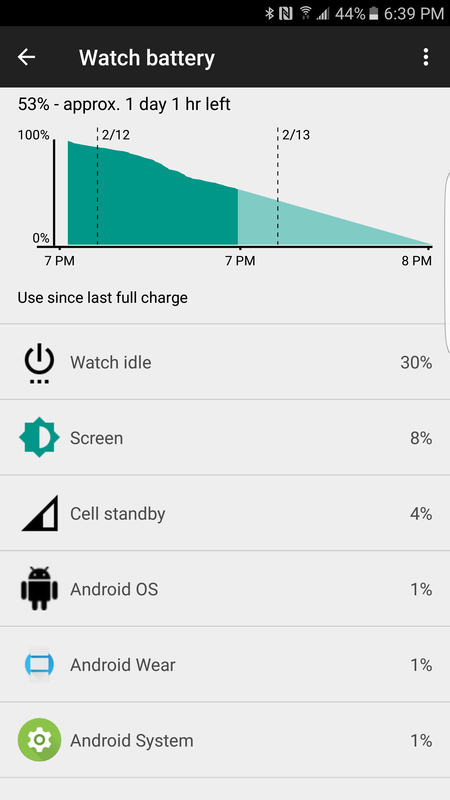 The notable problem with calls on a watch is battery life. The LTE radio can eat through more power than Pac-Man. A full charge could keep a call going for over an hour, but I didn't want to test that out. In general, it's a good solution in a pinch, but you'll want to keep chats fairly quick or plan to hit a charger at some point during the day. 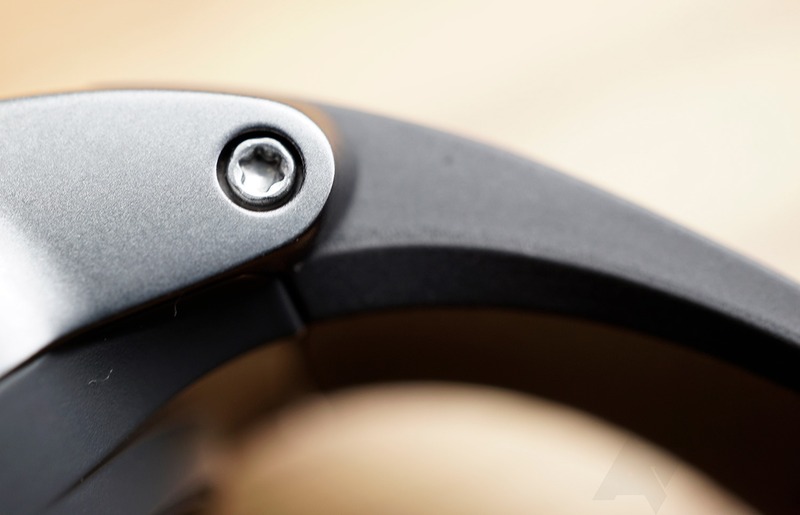 The LG Watch Sport actually has some enticing qualities to it. LG and Google delivered a watch that works great, has a wonderful screen, every feature you could want (short of a spy camera... I guess), and legitimately useful hardware controls. Then there's the software to consider; Android Pay works great and Wear 2.0 absolutely shines. There's a lot to like here. Unfortunately, there are a few big compromises that can't be overlooked. The body of the watch is simply too thick for many people to wear as a daily watch. Battery life is so-so, and I doubt software updates are going to have a big impact on this in the future. And I really hate to lose out on interchangeable bands. 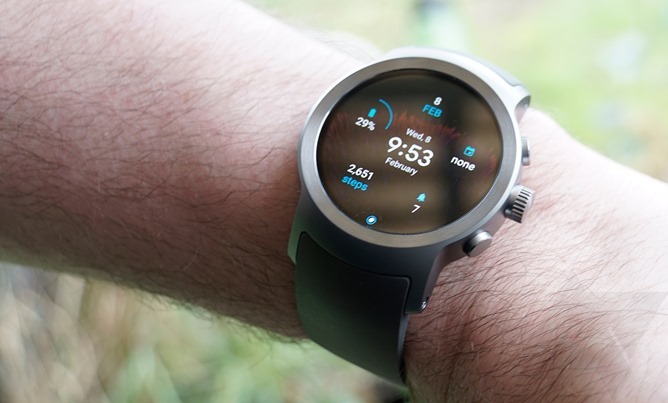 So, should you drop $350 on the LG Watch Sport? Well, it depends on what you're going to use it for. If you want a really good, cutting-edge watch for tracking workouts, and you can afford the price tag, I'm inclined to say yes. This watch was designed for that use case. This might turn out to be a great competitor to existing sports watches and run trackers, it just has to be marketed to that crowd. If you aren't that determined to get a fitness-centric watch (and you're not developing apps), this probably isn't the watch for you. It's not that it isn't a good watch or that I don't like it, but I expect most people will be happier if they can get a smaller watch without the cellular connectivity. It's probably better to wait for more stylish alternatives to join the list. 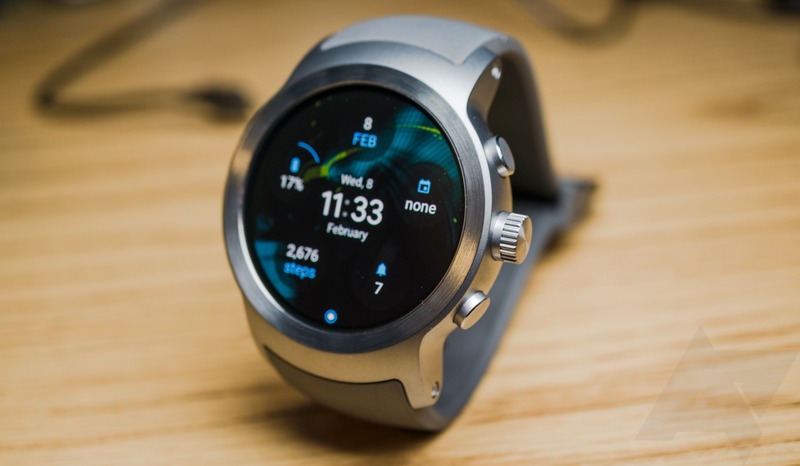 Now that Wear 2.0 is out, there will be new watches announced in the coming months, especially at Mobile World Congress, which is right around the corner.